Switch back to older version, click here. Over 4,000 Global Brands and Agencies love us, you will too! In case you don’t fall in love with us! For either of the service that you require, click on the respective service. You can select one job at a time. Followed by selecting a service, select from either Only Coding or Design+Coding options. If you have design files ready, choose Only Coding and if you want Monks to design as well as code select Design+Coding. Simple! Let the Monks hand-code your designs to HTML. Let the Monks create eye-catching designs and hand-code them for you. Whenever there are minor attribute and structural changes that are to be made in reference to the main template, we called them as Adaptation Emails. 4.2Adaptations (replication) from the same Template. Makes your markup of fixed width (recommended 650px) to correctly display your email in most of the native email clients on desktop, iOS and Android. Responsive design is the only truly "Mobile Email Design" which uses resolution of devices to decide the display. It responds differently to different viewing environments. It requires two designs and extensive coding, which works well on iPhone, iPad and almost all popular devices. Responsive email templates are created using media queries that are supported across majority of platforms including Gmail app. Make sure you design the email as a single column so that Monks can bless you with scalable layout. If your design is not compatible for responsive without media queries, then we will code it with media queries and will refund the rest of the amount. If you have custom mobile design, then please opt for responsive with media queries to get same output as the mobile design. Choosing Responsive or Scalable Design would add at least two hours more to the project turnaround time. Choosing Responsive or Bootstrap Design would add up at least two hours further in delivery time. Monks will start your order asap. Selected addon will add up 0 hours. If 50% of the code of the main template is reusable for a similar template & if the header & footer is as same as the main template, you pay 30% lesser than what you paid for the main template. If the layout & structure of the adaptation template is similar to the main template & only certain attributes like content/text, links, images or colors need to be changed then you pay 50% lesser than what you paid for the main template. A GIF (Graphics Interchange Format) email can rapidly display a series of images to produce the illusion of motion. Using an animated GIF adds an element of delight to your email campaign that may not be possible with static email designs. Monks have the expertise to code attractive animated GIF emails. For an Animated GIF Email, Monks will require all the layered frames of your animated GIF images. We try for you to avail the benefit of conveying most information using the first frame.This is because a few ESPs allow viewing only first frame images under their default email settings. Monks will get in touch with you if anything else is required. GIF will be supported in all the email clients except Outlook versions (Outlook 2007 onwards) and older email clients. Retina email refers to the use of retina-friendly images, so that the visual result on devices with retina displays is clean and crisp. These are images adjusted in pixel size and image size for excellent font and text rendering. The logos, images & icons appear sharper and smoother in a retina email. Monks have the expertise to code attractive retina emails. For a Retina Email, Monks will require images that have a high resolution (double resolution images). Video email refers to an email that contains a video or simulated video via linked text and/or graphics that would help your email recipients watch a compelling video in your email.Monks have the expertise to code attractive video emails. For a Video Email, Monks will require your video file in MP4 format that is hosted on any server, along with a fallback image to represent the video. Your design should be compatible to be coded for drop-down Navigation. Also, checkout the limitations and compatibility of drop-down menu mentioned on our blog before placing the order. Choosing drop-down Navigation in Email would add up at least 5 hours to the project turnaround time. With an accordion in email, you can say more in lesser space. To create accordion in email, your design should be compatible to be coded for Accordion. Choosing Accordion in Email would add 5 hours to the project turnaround time. Your design should be compatible in order to be coded for Flip effect in email. Also, checkout the limitations & compatibility of Flip effect mentioned on our blog before placing the order.Choosing Flip in Email would add up at least 5 hours to the project turnaround time.You need to provide us both the designs for Front & Back of the section. Your design should be compatible in order to be coded for Scratch effect in email. Also, checkout the limitations & compatibility of Scratch effect mentioned on our blog before placing the order.Choosing Scratch in Email would add up at least 5 hours to the project turnaround time. Outlook 120 DPI would be applicable for the systems having higher resolution than 1920. So if your user base is having that in higher numbers, opt for Outlook120 DPI add-on, so we structure the code accordingly to be compatible there as well. Sliders are implemented with checkbox in emails. So ensure that ESP supports Checkbox or forms input tags. If they don’t, this won’t work. Selecting Slider Add-on will add up at least 5 hours to the project turnaround time. Countdown in email helps to create a sense of urgency for your users. For this you need to provide end time for the Countdown along with the time zone. We will set up the countdown accordingly. The GIF will be hosted on our server. The GIF will work on all email clients. For Outlook where GIF is not supported, every time the email is opened it will call the real/current time from then to the end date. So it will be live but static, not GIF. Cinemagraph is a GIF animation created from a short video clip where a particular object is animated by overlaying a static masked image. While Outlook & Lotus would only show the first frame, other email clients render cinemagraphs quite well. Rollover Effect is the animated effect created using CSS 3. The object animates or changes its properties when cursor rolls over the object. Non-compatible email clients will not render the animation/effect. The email template will be Accessibility compatible. The code will be tested on IA ToolKit. We’ll be using a 3rd party tool to fetch live Instafeeds within email template. Add multiple variables inside of a single image, with each variable their own styling and outcome. We’ll be using a 3rd party tool to fetch live PinterestFeeds within email template. Basic Integration will have CAN-SPAM Tags/variables in HTML code to be uploaded in ESP and send from there only. In case if there are editable template language you get text/images editable on Basic Integration. Advance integration will allow you re-use the template in the editor, depending upon the template language features that ESP provides. You can repeat, duplicate, edit, hide or remove sections depending upon templates language available. Modular/Master template will be charged per module. Choosing any software integration would add at least two hours more to the project turnaround time. As of now we do not provide Hubspot (Advanced COS) due to Clipping of Email in Gmail. We are currently in conversation with Hubspot's Technical team to allow Custom coded template support on COS.
We will be resuming this service once we get a conclusive solution from Hubspot team.Thank you for your patience and support. Did you know that SalesForce is ending classic content in January 2019? If you have not migrated all your emails to Content Builder then please plan it out soon. You can check the official notification from SalesForce here. In this integration, you can only repeat sections instead of dragging and dropping every section. We have right now disabled Hubspot (advanced - COS) based integration till fuirther notification, as there are some challenges to clipping of email in Gmail. We are constantly in conversation Hubspot tech team to allow Custom coded template support on COS. We will resume this service, once we get concrete solution from Hubspot team. Thank you for your patients and support regarding the same. 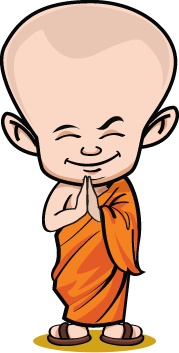 Email Monks will integrate your landing page in to Hubspot, Unbounce & Marketo. It will allow you to make edits of text, images, sections, etc. To integrate your landing page, we will need the credential of your Hubspot/Unbounce/Marketo account with full authorization. Choosing any integration template would add up atleast 24 hours further in delivery time. If you can provide Marketo login credentials than we will also setup html within your account. Kindly attach Hubspot login credentials to setup template within your account. Kindly attach Unbounce login credentials to setup template within your account or you can also send invite to our developer id "lp@emailmonks.net". If you can provide Pardot login credentials to setup template within your account that would be great, we can test it there or else we will provide you the HTML files editable in Pardot once you upload there. Integrated form need to be supplied to us in advance if there is any form in landing page. Kindly attach Leadpages login credentials to setup template within your account or you can also send invite to our developer id "lp@emailmonks.net". Kindly attach Instapage login credentials to setup template within your account or you can also send invite to our developer id "lp@emailmonks.net". The template will be delivered by MJML Framework. Compatibility : There is a limitation to adjust font-size, section alignment in mobile version. In Gmail App, it is difficult to change section alignment. The template will be delivered using Zurb framework. Compatibility : Outlook 120 DPI doesn't work with Zurb Framework. Also, it only display desktop view in Gmail App mobile view. Responsive design is the only truly "Mobile Email Design" which uses resolution of devices to decide the display. It responds to viewing environment differently. It requires two designs and extensive coding. Such a coding works well on iPhone, iPad and almost all popular devices. Please make sure email is designed in single column for monks to deliver scalable design. In order to help us serve you better, please provide us a brief about your job in the following form. And to ensure that the job is best done, we shall need all the essential details and attachments. Layered PSD / AI / EPS / PDF / SKETCH / or zip files. Maximum file size should be 50.00 MB. Monks at the Monastery have PSD/AI/EPS as the preferred submission file formats. While you can also send designs in JPEG, GIF, BMP and PDF formats, it wouldn't be possible to extract text from the images in such scenarios. You can upload up to a maximum file size of 50mb. Thank you! You have successfully added your Job to the cart. Thank you! You have successfully removed your Job to the cart. There is an internal Audit running across the Monastery. Most of our Monks would be occupied supporting the audit process and won't be able to execute urgent development jobs for today. We would be only accepting 48 & 72 hours TAT jobs today and Monastery will start accepting Jobs for urgent TAT from tomorrow. The add-on you have opted is not supported by Mailchimp. Both Accessibility and Outlook 120 DPI are not applicable together. Both MJML Framework and Outlook 120 DPI are not applicable together. the HTML and no any changes or updates in HTML, then we will provide you an integrated file.